Regarded for his work in the automotive security arena, Chris Valasek specializes in offensive research methodologies with a focus on reverse engineering and exploitation. Best known for the remote compromise of a 2014 Jeep Cherokee, whereby he and his research partner, Charlie Miller obtained physical control of the vehicle from more than 10 miles away, Valasek was lauded for exposing serious security flaws in automobiles; the results led Fiat Chrysler to recall 1.4 million vehicles. 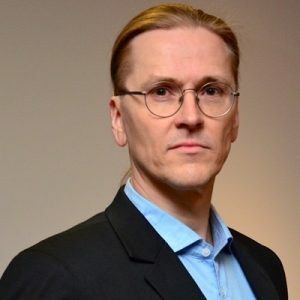 Valasek is one of the first researchers to discuss automotive security issues in detail, and his release of a library to physically control vehicles through the CAN (Controller Area Network) bus garnered worldwide media attention. Valasek’s hacking of the Jeep Cherokee led Uber to bring him on board as Security Lead at their Advanced Technologies Center. As a result of his work within the automotive industry, Valasek was included on LinkedIn’s Next Wave list, featuring 150 of the top professionals age 35 and under who are transforming different industries. After leaving Uber on July 2017, Chris and his partner Charlie both joined as Principal Autonomous Vehicle Security Architect at Cruise Automation, an American driverless car company headquartered in San Francisco, California acquired by General Motors in 2016 for an undisclosed amount. A popular speaker on security flaws in various technologies and devices, and solutions for preventing and alleviating such critical issues, he has presented at such preeminent cybersecurity conferences around the world, including BlackHat USA, DEFCON and Infiltrate. He is also the Chairman of SummerCon, America’s oldest hacker conference. His insights have been featured in a large range of media outlets, including leading publications, TIME, Fortune, The Washington Post, Forbes and SecurityWeek.